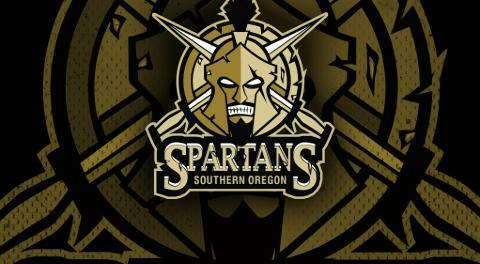 The Southern Oregon Spartans are a Tier II Junior A Hockey team located in the beautiful Rogue Valley in Southern Oregon. We are proud members of the Western States Hockey League, which is the largest Junior Hockey League in North America. WSHL rosters are made up of North American and International players. All North American players are considered as non-imports and all international players are permitted to a maximum of 14 per team. The season consists of 52 regular season games, plus exhibition and playoff games. 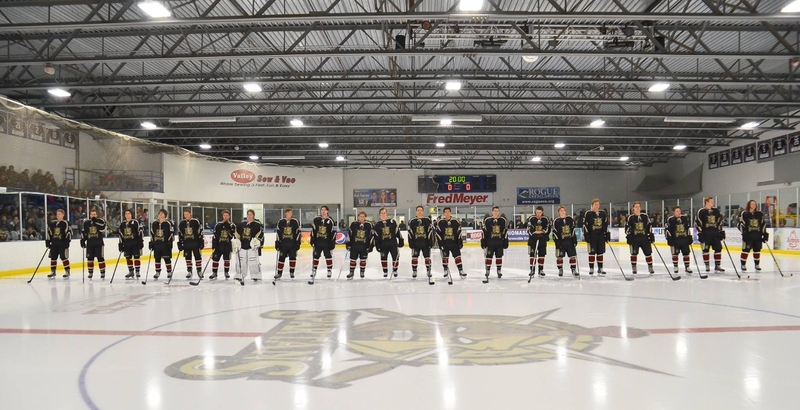 Additionally included is the WSHL Las Vegas Showcase a prominent exposure event for college and professional hockey scouts and recruiters.The team is located in Medford, Oregon and enjoys the support of the local community and playing in front of sold out crowds! Our fans help create an electric atmosphere during our home games that is unmatched throughout the league. We have the best and most dedicated fans in the WSHL. The RRRink is Southern Oregon's premier year-round ice skating facility. 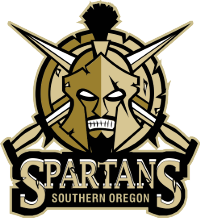 This beautiful 37,500 square foot facility is home to the Southern Oregon Spartans Junior A Hockey team, local area hockey players, figure skaters and skating enthusiasts. The Southern Oregon Ice Arena, built in 1996, offers patrons the finest of amenities to make each visit enjoyable. Featuring an NHL regulation 200' x 85' ice sheet, The RRRink features a snack bar, espresso stand, arcade games, a fireside seating room with a big screen TV and protected view of the action, 5 full-size locker rooms with showers and full-service pro-shop for all of your skating needs. The friendly staff and clean, safe environment ensure a quality experience. Check out Southern Oregon and Northern California's only Full Service Hockey and Figure Skating Pro Shop. Located inside The RRRink, The Center Ice Pro Shop is the valley's only source for quality hockey and figure skates, Licensed NHL jerseys and apparel. They also carry a full selection of sticks, equipment and accessories. The RRRink is conveniently located in the heart of Medford. Lodging, restaurants, shopping centers, tourist attractions and cultural events are only minutes away from center ice.